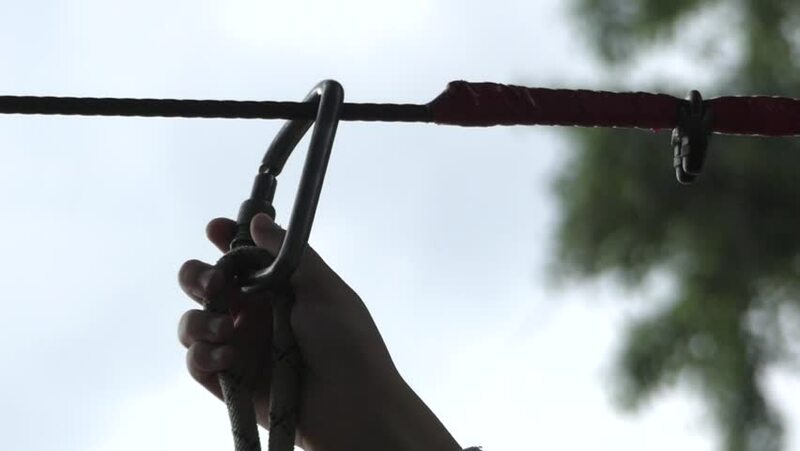 Hands to Open the Carabiner Closeup. the Action in Real Time. hd00:26VIRGINIA - OCTOBER 2014 - Reenactment, recreation of early, pre-20th century sailing ship - Europe to the New World. Exploration, invasion boat, tall-ship, rigging, masts and giant sails at sea.